These HK Baby Kailan are sweet and tender. Love their natural green even after blanching them in hot boiling water and it is best cooked simple so that you get to taste the natural flavor of the greens and you just have to cook a simple oyster sauce for it and garnish with lots of golden crispy garlic slices.....yummilicious! 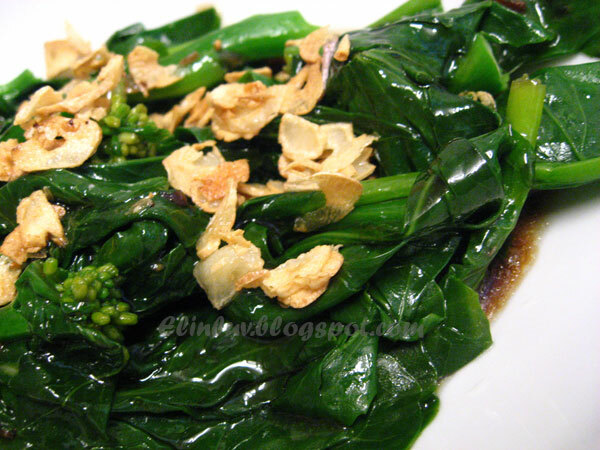 There are many ways to cook these veggie....one way is to cook them with yam....I would like try it out one day, for kailan with yam is one dish that restaurants are serving as one of their signature dish . A very popular dish among the chinese. 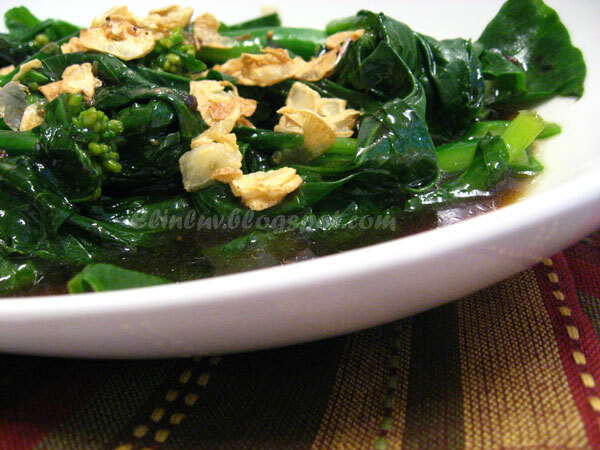 Meanwhile , you may like to have this veggie dish for your reunion dinner , that is , if you want something simple and easy to prepare and yet taste good. Baby Kailan... hmmm I've never heard of that before. 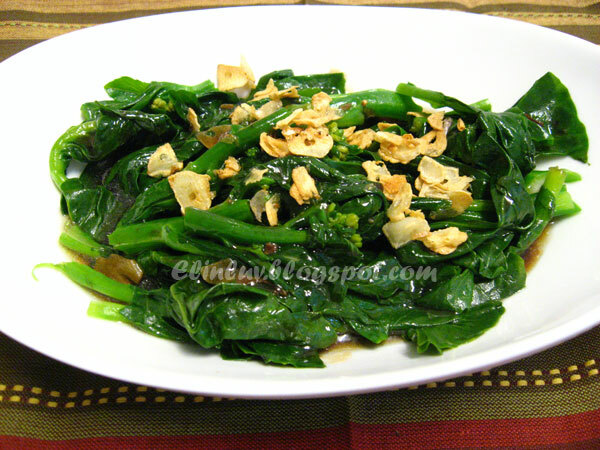 But it looks like chinese broccoli to me. Is Kailan the proper name for chinese broccoli? Either way this looks delicious and it's great that you're adding more veggies to your diet! My fav meals always consist of fish and leafy greens! I'll def be giving this a try! Kailan with yam? I've never heard of that! 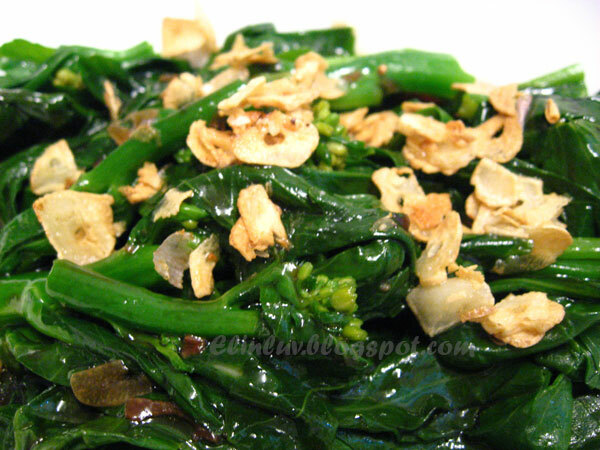 I love baby kailan, it's one of my favourite. This dish sure looks delicious Elin. Leny...it is simple and delicious..I love baby kailan ! Arthur....yea, I will huffing and puffing in the kitchen. Haih... I want EAT OUT next year OR I will FIRE myself next year - but the Wild Boar wants his tradition dishes that his mom made for him so I have to imitate the dishes for him :p :P Will post them after the dinner...stay tuned ! GONG XI FA CAI to you , Mrs. and Melissa ! Elin, this is my kinda dish, too. I actually fancy veggies more than I do for meat. LOL! This way of serving veggies is very Canto, too! LOL! Suits my Canto palate perfectly! These are lovely. I think one of my favourite sauces ais a well-used oyster sauce. 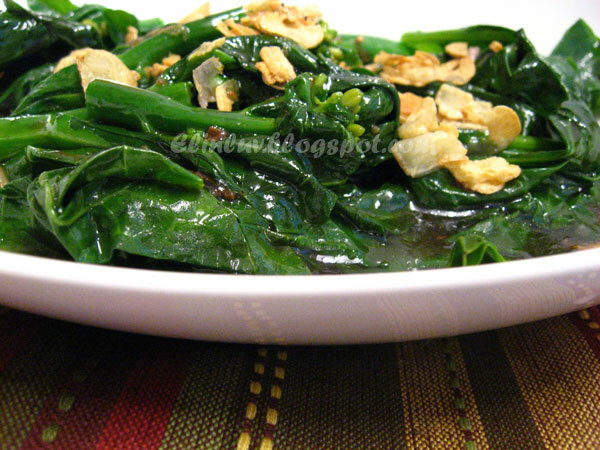 It pairs so well with vegetables, especially greens like this baby kailan. It looks a tad similar to kale but I don't think i've ever come across it. Wishing you and your family a Happy and Prosperous New Year! Gong Xi Fa Cai! Baby Kailan is one of my favorites. Looks delish with the crispy garlic slices! Wonder what it will taste like with yam?